73+ Helpful autopom! Warranty Reviews | Is autopom! Good? 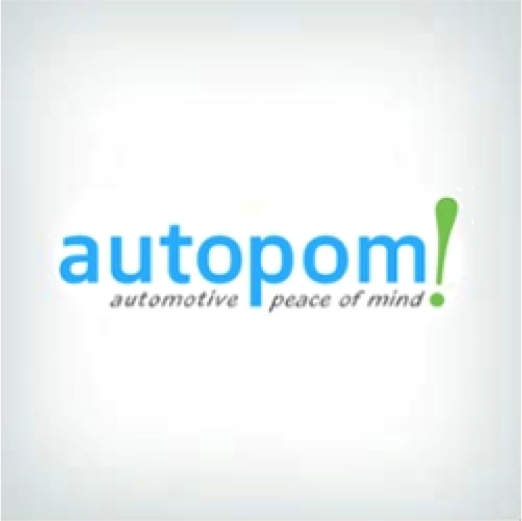 In business since 2009, autopom! is a trusted car warranty provider. Extended warranties can help defray the cost of car repairs resulting from a mechanical breakdown. While autopom! is not an insurance company, all of their representatives are California-licensed insurance agents. autopom! enjoys a good online reputation among warranty companies. It is BBB: A+ Accredited, with positive reviews and few complaints. The company offers many vehicle service contract or extended vehicle warranty options for individuals looking for an auto warranty. They cover cars and pre-owned vehicles with up to 200,000 miles. autopom! deductibles range from $0 to $500. autopom! offers customers four main extended car warranty levels: Exclusionary, High-Level, Mid-Level, and Powertrain Plus. Exclusionary plans are comparable to a manufacturer's warranty. Exclusionary coverage includes almost all mechanical and electrical components of a car. High-Level plans are a great cost-effective alternative to the exclusionary plan. They cover an extensive amount of components within the following major systems: Engine, transmission, transfer case, drive axle, steering, electrical, air conditioning, braking, cooling, fuel system and seals, and gaskets. Mid-Level plans cover named-components within the major systems: engine, transmission, transfer case, drive axle, and differential assembly. A Mid-Level warranty covers named components like steering, suspension, fuel delivery, as well as the cooling and braking systems, too. Powertrain Plus plans cover specified components for the major systems. However, there are several plans that offer additional coverage for electrical, air conditioning, and fuel systems components. Underneath each coverage level is a grouping of specific plans and customers can click on each plan option to view more information. Customers can also view a sample contract to get a better feel of what they can expect if they choose a plan from auotpom!. autopom! includes a resources page on its website with several printable checklists. These checklists provide information on common situations customers deal with when owning a vehicle. There is a checklist for buying a car, taking your car on a road trip, selling your vehicle and more. Also located on the resource page are articles on how to avoid auto repair scams and how to determine if a vehicle protection plan is right for you. Choose Your Own Repair Shop—autopom! allows their customers to take their vehicles into any repair shop when their vehicle needs repairs. Whether customers prefer to take it in to the car dealership or their hometown shop, it’s completely up to them. Rental Vehicle Assistance—All of the plans at autopom! offer rental vehicle assistance while a car is being repaired. However, be aware that terms and conditions will vary by plan. Affordable Payment Plans—Customers can speak with an autopom! agent to find an affordable payment plan. Nationwide Breakdown Coverage—If a vehicle breaks down, autopom! allows their customers to go to any licensed repair facility in the U.S. or Canada. 30-Day Money-Back Guarantee—If customers are not satisfied with their coverage autopom! will issue a full refund within the first 30 days. 24-Hour Roadside Assistance—Customers can call the 24/7 roadside assistance number in case of emergency. autopom! focuses on providing a consultative sales approach. Instead of pushing products that customers aren’t interested in, the team strives to put the customer's needs first. autopom! also assigns a vehicle protection specialist to help you with any questions during the entire course of your service contract. While auotpom! has a selection of warranty options, be aware that each has its own set of stipulations that your car must meet. For example, it is important to perform proper maintenance on your car, like oil changes, otherwise the warranty contract can be voided. If your car needs an expensive repair and you didn't properly maintain your car, you would pay for the repair yourself. Additionally, most car warranty providers do not cover damage resulting from normal wear and tear. Several of the coverage options are only available in specified states. Others aren’t clear on the states in which they are available. autopom! has a few options that state they are currently unavailable and does not say if or when they’ll be available. Since each extended vehicle plan depends on numerous factors, autopom! does not disclose any pricing for its plans. Each plan takes into account your vehicles make/model, mileage, year, and the customer's state of residence. Also, the cost will depend on which coverage level you choose and which plan. While auotpom! covers most vehicle makes and models, it does not offer coverage for luxury brands such as Lamborghini, Bentley, Ferrari, Rolls-Royce, etc. Choosing a trustworthy warranty company from the many warranty providers available is important. Warranty protection is a major purchase because it is an investment. Based in California, autopom! offers extended service contracts to help bring customers peace of mind with their vehicles. autopom! provides many coverage plans and benefits, including roadside assistance, choice of repair shop or car dealer, and rental car assistance. Customers looking to buy an extended warranty should make sure their car is covered under their desired plan and that they meet all the requirements. autopom! recommends that customers call and speak with an autopom! specialist to help find the best service plan for them. autopom! is available in most states nationwide, but customers should call and check to see if their state is covered or fill out an online form to receive a quote. Overall, autopom! is a reputable and reliable company for those looking to protect their vehicle. Call our recommended rep over at autopom! below. Or you can visit autopom! website. I have used the warranty one time and the experience was good. It took a while to get the work started because an inspector had to verify and it only covers mechanic costs of $90 hour which is fine if you dont have an Audi. Otherwise i am very happy and satisfied! Having trouble actually getting a claim going. I'm disappointed I have to be the middleman yet I have no authority to move it along. My provider has called and provided dish. Warranty reps say he didn't? My experience has been excellent this far, fast friendly service, easy to access and trustworthy! Talked with reps 3 times in last 6 months All good. Have Mercury warranty on current vehile and wanted to pick up anothe extended warranty.I didn't want overlapping warranties, but I didn't realize the price would go up almost $1,000 netween July and Deember. This seems unfair since I had a prior current warranty with the same company. Great experience! After talking to other competitors, Jovanny Nava was my was my sales contract who I'd reached out to. He didn't make me feel pressured to buy from them. On the other hand the competitors made me feel pressured to choose them. Getting phone calls from autopom's competitors everyday for like an week is what helped me choose autopom! The rep was wonderful, they seemed very knowledgeable and an honest and fair. Thank you Thomas for your kind remark. It is autopom! 's mission to provider automotive peace of mind through protection plans that are sold the right way! Customer service answered all the questions. The sales representative was absolutely informative and compassionate to whatever it was I need. Considering the fact that I am a senior citizen and have a lot of things I was concerned about, he answered everything perfectly. Hi Barbara, Thank you so much for your kind remarks! We love providing automotive peace-of-mind to senior citizens! I'm glad we were able to answer all your questions in a satisfactory manner. When I talked to customer support, it was not a high pressure conversation. I told him what I was looking for and they sent me an estimate and everything was set. It looks very pleasant. Thank you Alan for the great feedback! We strive to provide a consultative, no-hassle approach to selling vehicle protection plans and providing automotive peace of mind - autopom! Customer service was really friendly and explained everything to me well. It was also cheaper. Hi Edgar and thank you so much for your kind input! I'm glad we were able to provide you with a competitive quote! Value is one of our core values here at autopom! I hope you enjoy many miles of automotive-peace-of-mind - autopom! They gave me the best value. I think they are great so far. They have quick response and are easy to work with. Thank you Steven for your input! "Value" is one of our core values here at autopom! I'm glad we were able to provide you with the best value. I hope you enjoy many miles of automotive peace-of-mind - autopom! The founder called me on the phone explained a lot of things about the warranty and was actually really helpful. I would definitely recommend them to somebody if they could get a warranty from the manufacturer. Hi Suleman and thank you for the awesome recommendation! I remember our conversation. You had some very good questions. I appreciate you placing your business with us. Let me know if I may be of assistance in the future. Mike Jones, CEO / President, autopom! Customer service was really helpful in the times I had a problem. Thank you Steven for your input. We strive to be helpful when customers call us with issues or problems. Give us a call if you ever need additional assistance. I hope you enjoy many miles of automotive-peace-of-mind - autopom! I chose them because I heard the great experience that they usually have when it comes to claims and so forth and I liked choosing the extended warranty. It seems like it is going to cover a majority of the vehicle issues. The price is comparable. The individual that helped me was able to answer my questions in a very respectful manner. Hi Sylvester and thank you so much for the great feedback and kind remarks! I'm glad that your agent was able to provide you with a competitive no-hassle quote, answer all your questions in a courteous, respectful manner - that is the way we strive to sell protection plans here at autopom! I hope you enjoy many miles of automotive-peace-of-mind - autopom! They are overall responsive and very customer service oriented. They answered all my questions. I think they did an excellent job extending the warranty. They listened to what I needed and was able were able to adapt to that. They are basically a broker and they seem to do a reasonable job however the actual insurance company has horrible ratings and that kind of concerns me but I looked around and they were less horrible than other ones. Thank you for the complementary review! We are indeed a broker/seller currently representing four Administrators that handle the claims. Our Administrators are all rated A+ by the BBB and have been in business for 25 years or longer. They are also some of the largest companies in the industry. I'm not sure which company is your Administrator but one company we represent sells 120,000 contracts per year through affiliated call centers and currently has 60 negative reviews on the BBB. It helps to put the critical reviews of this particular Administrator in perspective if you consider this represents only 0.0005% of their customers in one year. This suggests that the vast majority of their customers are satisfied. In any case, if you ever have difficulty with getting a claim approved with your Administrator, please give autopom! 's customer service (800) 724-8141 option "2" a call and we'll assist you to the best of our ability. The policy doesn't take effect until you've owned a car for thirty days and driven at least a thousand miles. When I called customer service, he was very knowledgeable and low key but high pressure. It took almost a month to make a decision and he was calling me every two days. He did a good job and was a consummate professional. I would certainly recommend it without hestitaion. I had a decent experience when talking to autopom people. Recently I tried to make a claim and I've been very disappointed. I attempted to use the warranty and it was denied. It was a really good choice. It is good customer service, they always answer my calls and questions. My representative was responsive and someone called back and that matters most to me. Hi Eric and thank you for choosing autopom! We strive to be responsive and answer every call. If you ever need assistance, please give our customer service a call at (800) 724-8141 option "2". I hope you enjoy many miles of automotive-peace-of-mind - autopom! The young man that helped me was very friendly and knowledgeable. He explained everything with the different types of plans that they have. I did have some communication issues with the company now everything is good. They've been very pleasant to deal with. It has a very clear contact and the sample contracts they had online are easy to read. Everything I got was quick and easy. The one time I had to deal with customer service, they were professional and easy. I haven't really had many opportunities to interact with them now, luckily. For what they offer, the level of coverage, it is very competitively priced. When I purchased it, they were very helpful and very knowledgeable and there was no pressure. I told I had a limit on how much money I want to spend and the salesperson didn't try to push me past it. She was very helpful. They offer a wide range of different options. They were not pushy. They were very professional. They took the time to explain the policy and the different options that were available. They were the absolute value for my money. I submitted my request for a quote for my 2015 BMW M5 on November 13th, 2018. It is now December 12th, 2018, and I have not received any response. Very disappointed. Will not be doing business with a company that can't even bother to reach out. Hi Jason, I'm so sorry to hear that you have not receive your quote. We try very hard to respond to every quote request within 24 hours. I checked our system and could not find a quote request from Jason in Virginia with a 2015 BMW M5. Sometimes missing quotes can be found in the users junk or spam folder. Did you check these folders on your computer or phone? Occasionally one of our quotes will wind up there. For immediate personal service, please call us at 800-724-8141 during our business hours 9 - 5 PM PST Mon - Fri. One of our friendly consultants will be happy to assist you. Hi Ernest, Please accept my sincere apologies. We try to respond to every quote request that we receive. Did you check your spam or junk folder? Sometimes email winds up there. I tried to locate your name in our database but I have not been able to find your request. Please give me a call at (800) 724-8141 x4 and I will personally prepare your quote. Thanks, Mike. This company is great! They worked so hard to resolve my claim with the repair facility. I have had a ton of car issues recently and they have gone above and beyond to get my issues fixed. Definitely worth the money! Thank you William for your kind review! We do our very best to provide our customers automotive peace-of-mind with our vehicle protections plans. Glad to be of service! They provided clear communication and explained details of the product very thorough. Great service overall and highly recommend. Thank you Brian! We distinguish autopom! from the competition with our licensed agents and consultative, no-hassle style of selling. Glad you were pleased! They are great! They say what they're going to do it they have been really trustworthy company. I needed a warranty that was reputable for my 2011 Toyota 4 Runner. I was very satisfied with the prompt service provided by the customer service reps. The company cancelled my policy with no warning. I never received a monthly bill neither by mail nor email. I am not particularly happy with this establishment. Easy to purchase, unused currently and hope to keep it that way. The staff in Customer Service has always taken care of me. Alexis has gone over and above to get me refunds for covered work. Great so far. Haven't needed to use it. I bought it for the future after my original policy company went bankrupt. Did my research and customer service explained California law and the protections I had. So far, so good. When I called they answered every question I had. The price was excellent and payment plan makes it very workable. Easy to sign up. I have had no claims yet.